Are There Dust Mites in My Mattress and Pillow? Can Dust Mites Make You Sick? Since Al Gore invented the Internet, people have been posting and sharing all manner of frightening claims about bugs. Among the most viral assertions are those about the evil dust mites that inhabit our beds. Have you heard this one? Over 10 years, your mattress doubles in weight due to the accumulation of dust mites and their droppings. At least 10% of your pillow's weight is dust mites and their feces. Most people don't like the idea that they're sleeping on a bed full of bugs and bug poop, and find these statements horrifying. Some websites recommend you replace your pillow every six months to avoid contact with the dirty dust mites. Mattress manufacturers love these scary science "factoids," they're great for business. But is there any truth to these claims about dust mites? And what are dust mites, anyway? Dust mites are arachnids, not insects. They belong to the arachnid order Acari, which includes mites and ticks. 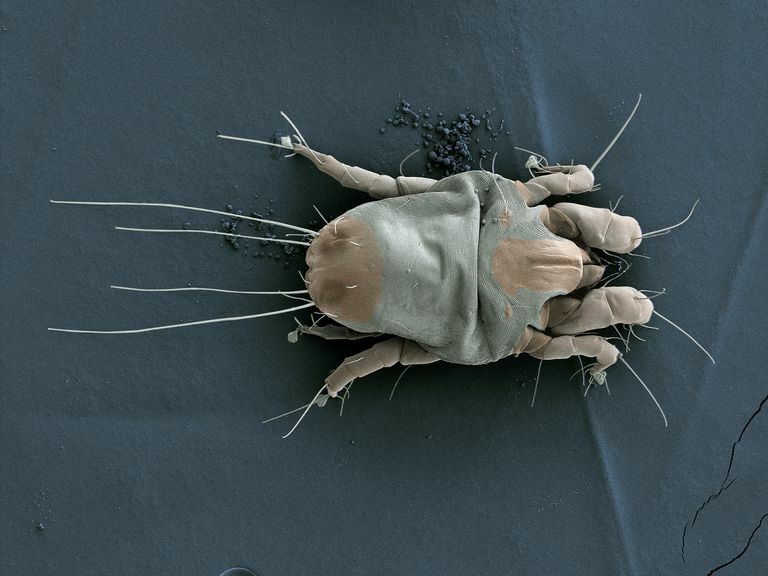 Common dust mite species include the North American house dust mite, Dermatophagoides farinae, and the European house dust mite, Dermatophagoides pteronyssinus. House dust mites are barely visible to the naked eye. They measure less than a half millimeter in length, and usually require magnification to see. Dust mites are usually clear to cream colored, with tiny hairs on their bodies and legs, and globular in shape. Dust mites don't feed on us directly like their cousins, the ticks, nor do they live on our bodies like follicle mites. They aren't parasites, and they don't bite or sting us. Instead, dust mites are scavengers that feed on the dead skin we shed. 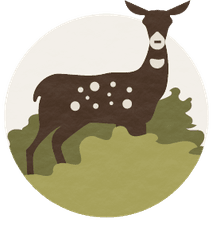 They also feed on pet dander, bacteria, fungi, and pollen. These tiny critters are actually recycling waste. Will Dust Mites Make Me Sick? Most people aren't affected by the presence of dust mites and don't need to worry about them much at all. However, if conditions are optimal, dust mites and their droppings may accumulate in sufficient numbers to trigger allergies or even asthma in some people. Anyone prone to allergies or asthma may need to be concerned about keeping dust mite populations and their associated waste to a minimum in the home. How Do I Know If I Have Dust Mites in My Home? Here's the good news. House dust mites are actually quite rare in homes, despite all the scary claims about dust mites accumulating in your bedding. Dust mites don't drink water; they absorb it through their exoskeletons from the surrounding air. As a consequence, dust mites desiccate quite easily unless the relative humidity is rather high. They also like warm temperatures (ideally, between 75 and 80 degrees Fahrenheit). If you shuffle along on a carpet in your home and then get a static shock when you flip on a light switch, it's highly unlikely that you have house dust mites living in your home. When static electricity is plentiful, humidity is low, and dust mites are dead. If you live in an arid region, or one where the indoor humidity stays below 50% in the summer, you are very unlikely to have dust mites. If you use air conditioning, you are effectively cooling and dehumidifying your home and making it inhospitable to dust mites. In the U.S., dust mite problems are largely limited to homes in coastal areas, where heat and humidity tend to be higher. If you live in the interior areas of the country, or more than 40 miles from the coast, you probably don't need to worry much about excessive dust mites in your home. Does a Mattress Really Double in Weight from Dust Mites? No. There is no factual evidence that accumulating dust mites and their debris add significant weight to a mattress. This is a claim that was published by the Wall Street Journal in 2000, despite the reporter being told by an expert that the statement was unsupported by scientific literature. This claim has been spread on the Internet, unfortunately, leading many people to believe it is true. University of Kentucky College of Agriculture. Accessed online July 9, 2015. Managing House Dust Mites, by Barb Ogg, PhD, Extension Educator, University of Nebrask-Lincoln. Accessed online July 9, 2015. House Dust Mites, Bohart Museum of Entomology, University of California-Davis. Accessed online July 9, 2015. Does Your Mattress Really Gain Weight Over Time?, by Katharine Gammon, LiveScience, March 7, 2011. Accessed online July 9, 2015. Mite-y Heavy, Snopes.com, March 10, 2015. Accessed online July 9, 2015.
Who Should Worry About Dust Mites (and Who Shouldn't), by Lesley Alderman, New York Times, March 4, 2011. Accessed online July 9, 2015. Bugs Rule! An Introduction to the World of Insects, by Whitney Cranshaw and Richard Redak. Why Are There Red and Black Bugs All Over My House?